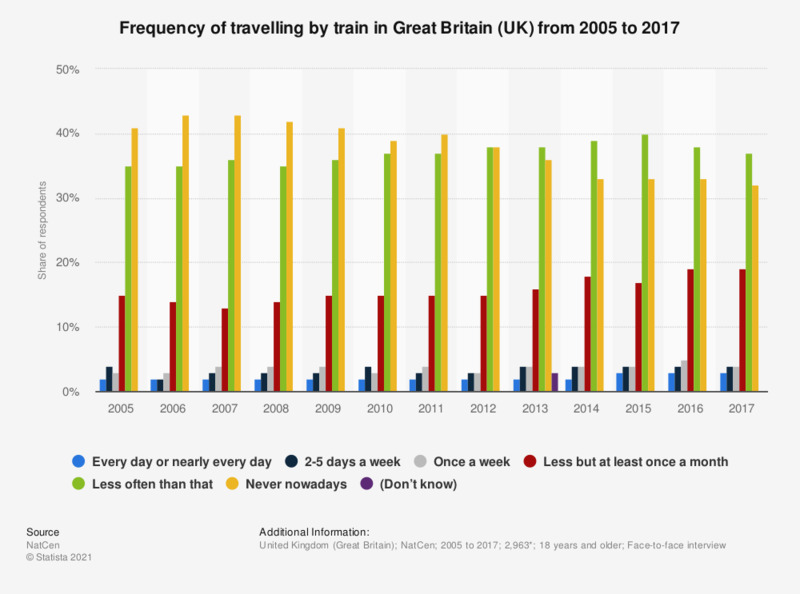 This statistic shows the frequency of train travel in Great Britain between 2005 and 2017. During the time period observed, the majority of those surveyed travelled by train less than once a month or never, totaling 69 percent in 2017. The share of respondents travelling by train every day or almost every day remained very low at only three percent in 2017. * Base values for previous years are provided by the source.